Chris Hughton on Tiote, Carroll and that transfer. | NUFC Blog. Hughton: Newcastle can make big strides. Resuming the Chris Hughton’s interview with Richard Keys and Andy Grey on ‘Talk Sport’, this final section begins with more memories of Newcastle United, including what Hughton thinks of Colin Calderwood, did he realise how good Cheick Tiote when he signed him, working with Andy Carroll, did he always think that he was going to leave in January and more. Chris Hughton: “I can actually remember not long after he went (to Liverpool), the goalkeeping coach, Paul Barron, coming on this station and you asked him the same question, and he said “he could be whatever he wants to be”. I think what you did see this week on Monday night (when Carroll scored two goals for Liverpool against Man City) is a sample of what he can do. Of course, he is prolific in the air, that’s something I think everybody’s accepted, but he has a terrific left foot and is capable of scoring those kind of goals that we saw on Monday night. But also, it was a game where Suarez probably had more involvement, more touches than Andy Carroll and what he can do is play in these types of games, where perhaps he hasn’t done anything for a period of time in the game, but there’s an end product. Andy Gray: “What does he need to improve do you think, Chris? You know him better than most. Chris Hughton: “I think as a real ‘number 9’ there will be times when I think with the systems we’re now playing and games that he will be playing in a 4-3-3 where he will be a little bit isolated upfront, and it was something that we worked on quite alot with his ball retention in tight areas, small sided games, that he’s got to continue to be a good link up player. If he’s playing in a two where you’re relying on balls getting into the box and getting across people, then that’s a particular strength of his. But there are going to be the tough games where he’s not going to see alot of the ball, and every touch he has is got to be an important touch and he’s got to keep possession. Chris Hughton: “Yes he did. He’d asked me for it some time actually before I gave it to him, but that’s the type of individual and personality that he is. The reason why he’s able to go to Liverpool, and I think be successful, is because he is a player that doesn’t have fear in his game. When the TV cameras on homed in on him just when they were about to kick off on Monday night, knowing Andy as I do, I knew he was desperate to get that game started,and I think he’s enjoying every minute. But he’s a player that doesn’t have fear in his game. Possibly that’s something that comes as you get older and you develop in the game and there’s more pressure on you, but at this moment I think he’s just enjoying every moment. The talk then turned to general banter in the studio about who would be the player of the year, who’d be doing the London marathon etc etc, and that was it! Newcastle 1-2 Blackburn – VIDEO highlights and post-match interviews. Hughton on Carroll: “With everything, you have to learn by your mistakes”. Good work on this Worky. And very interesting, even if it’s a pair of chumps doing the interviewing. Ta Hugh. It took a little longer than I thought it would when I started it! top post mate & very informative. Thanx again for not making us sit through those 2 goons though. Interesting that Hughton said “I think the club wanted to keep him…” It suggests that he knew that higher up, Ashley and Llambias were keen to keep Carroll, contrary to some people’s opinion. Obviously when the £35m offer came in they did their best to send him on his way but interesting to hear they wanted to keep him nonetheless. The summer will reveal what Ashley really intends to do with the club and will give his backers and doubters some answers either way. i was thinking something along those lines too mate. 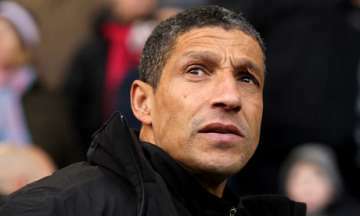 Very interesting, again Hughton comes accross as an honest guy (Did you know he would be… etc. )and we certainly wish him only the best, NUFC owe him a great deal. As i mentioned on these blogs, both Ashley and Carroll plus Liverpool got what they wanted from the deal and the partnership with Suarez will i believe be a complimentary one. Yeah it`s too bad he did`nt stay, but it`s about dosh unfortunately and bigger players than Andy have been poached from bigger clubs, ah well ! A different ownership approach to the game i suppose, we have on one side an owner (Fenway group) who took a baseball team (Boston Red Sox)with a small old stadium, that had`nt won a series for the most part in living memory and made them into a winning side. Who now hope to do the same with Pool, the secret being buying the right players, good top management. They have brought in Comoli to do that and appear to be on their way with a few decent buys and getting fifty big ones for El nino was a steal. Kenny will be gone by the end of next season, with a real manager brought in. On the other hand we have an inexperienced owner who obviously trusts no one and only hires yes men and tends to cut his cloth according to some plan about buying young and cheap. Sure it sounds great, but may result in NUFC becoming the pre Fenway group Boston Red Sox, with no silverware in living history. My point is there is no cheap way to field a competitive PL side and only when top management are employed are teams successful, certainly when competing with oligarchs, with unlimited funds. I see NUFC as a mid table side for the forseeable future, simply by not hiring the right top management and refusing to spend the required amounts, ah well ! but you’re forgetting that strange things can happen in the football pantheon mate. Sometimes teams become just that, a team, & do well despite the odds stacked against them. Granted, it’s rare. But it does happen. everton aren’t big spenders but have stuck with a decent manager for a few years & they do alright. Brum have just won a cup after employing & sticking with a decent manager, Stoke have done the same & just made the cup final. Portsmouth won the cup recently with a good manager & team spirit. Just a few examples there. Stocks can go down as well as up. Everton are in debt, need a new owner. Fortunately they hired Moyes, who has, not unlike Hughton in a sense, worked miracles, both in the transfer market and by providing good overall managerial skills. The team has punched well above their weight and managed some good finishes. They were/are lucky to have brought kids like Rooney and Rodwell through the system, which proved a help financially. But like NUFC, going nowhere, that is without an infusion of wealth. Where are Portsmouth now ? and they did it on borrowed money, we all know ow Arry works. As for the other club Birmingham, yeah another decent manager(seems a forte of the Scots)but an ageing side who won a cup no one else was interested in and going nowhere either, other than a trip back to the second tier. You see NUFC are never going to be in a class like the London sides and the Man U`s simply because of location and a lack of international support. Earnings in general dictate the quality of sides and NUFC is around seventh or eighth place in the PL. Now a wealthy Yank would do wonders, but not too many on the horizon. all clubs are in debt & it matters not one iota what you, me or anyone says ‘cos they all won a cup (bar everton). Through, & at the risk of boring you, sticking with a manager for more than a few months. Personally, i’d love a yank owner cos they know about sports & generally put their money where their mouth is. Or is this case, where someone else’s mouth is. it could have been 50 million for carrol you just don’t sell your best player with 3 hours left in the window without a replacement lined up! chelsea got torres liverpool got carroll and we got kuqi!!! this is the season we could have achieved so much more and now its gone and we are struggling to cross the finish line for premiership safety! Aye, but that isn’t because we sold Carroll, dug. I know hes been out the last couple of months but he would have been back for the last 3 or 4 games for us which would have been massive! his presence in both box’s,at set pieces and leading the line would have been worth at least an extra couple of points than what we have right now and i would have given us half a chance against the mancs at SJP!